Marine Cpl. Michael Jernigan, 34, was sworn in to the Marine Corps on Oct. 18, 2002, by his father. He was in the machine gun turret of a Humvee in Mahmoudiya, Iraq, when two 155mm artillery shells detonated, causing severe head injuries and the removal of both eyes. 'I joined the Marine Corps because I was kind of stagnant in life and I saw myself going down a road I didn't want to go down. I had a drinking problem. "After I got wounded, it turned out the Marine Corps was not the place you want to go if you want to stop drinking. After I got wounded it was even worse. I thought that somebody was going to have to take care of me for the rest of my life. 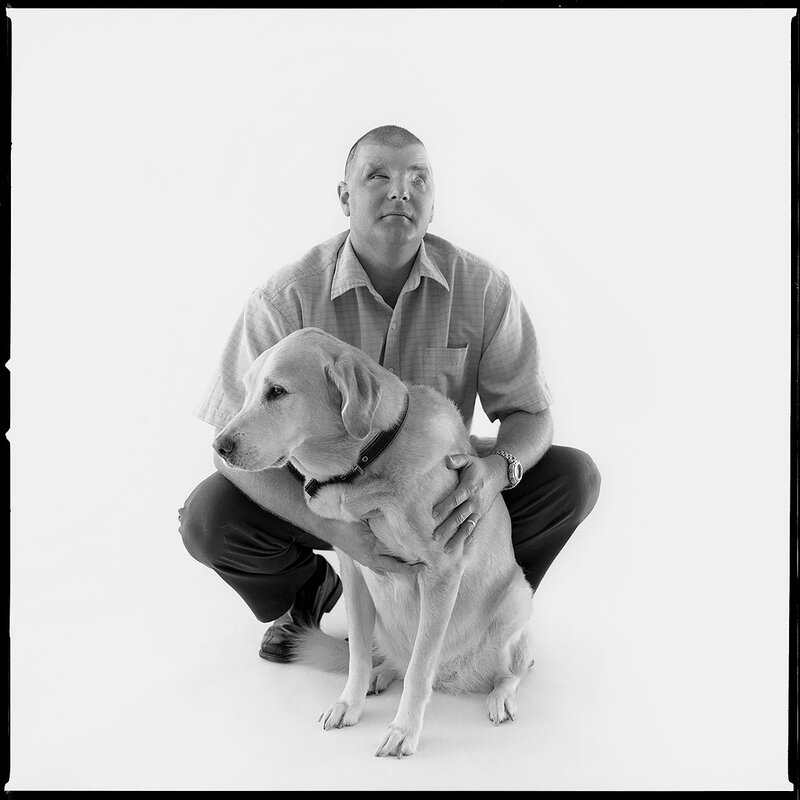 "In a lot of ways going blind has improved my life. It opened up avenues to me that I had closed off in my mind. It gave me the desire to go back to college. It gave me a drive that I was missing. It gave me my wife. It gave me my family. If I wouldn't have been blind, Leslie wouldn't have walked up to me. (She) walked up to me in a bar to thank me for her freedom and we got married a year and a half later. Going blind has almost been a blessing in my life. The bomb pays dividends. It's crazy."